Located in Sunnyvale, Adobe Wells has the dual distinction of being the first and largest of the company’s 14 mobilehome communities. Built in two phases during 1968 and 1969, this all-ages community contains 613 spaces. Approximately half of the original homes have been replaced by new homes that feature such modern amenities as cathedral ceilings, drywall construction, double-paned windows and modern kitchens. Adobe Wells was the first luxury mobilehome community in Northern California. It includes a large lake, tennis court, exercise rooms, playground, extensive grassy areas, lavish landscaping, large swimming pool, two spas and two professionally decorated clubhouses. Included in the clubhouses are meeting rooms, a large meeting hall, professional kitchens, a library stocked with hundreds of books, two billiard rooms, laundry facilities and much more. The spas are heated year round, while the swimming pool is heated from April 1st through September 30th. A variety of resident-initiated functions are offered, including card-playing groups, lady’s pool exercise programs and bingo. A group is being formed to focus on activities for children. The company is continually updating and modernizing the clubhouses and common area landscaping. 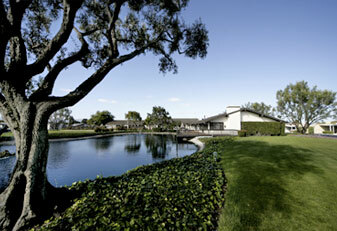 The early California appearance of the community fits in nicely with the surrounding area. This is country club living at its best.